Do you have old, or damaged wallpaper? Or just looking for a change? 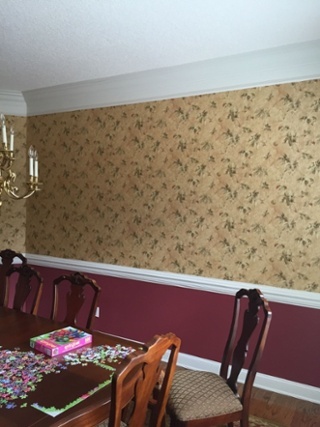 Wallpaper removal can be difficult and unpredictably time consuming. Removing wallpaper in the wrong way can even be damaging to the drywall. If some of the residue from the old wallpaper is left on the wall, a new coating of wallpaper or paint will not stick properly, and may be bumpy or strangely textured. Delta Painting offers skilled wallpaper removal services. We approach each project anew, choosing the combination of tools and processes best fit for the unique situation. Consider working with us for your next wallpaper removal project.